Plumeri Awards The award was established in 2009 with a generous gift from Joseph J. Plumeri II '66, D.P.S. '11. Professors Jeff Shields and Harry Wang of the Virginia Institute of Marine Science have been selected as recipients of 2015 Plumeri Awards for Faculty Excellence at the College of William & Mary. The award was established in 2009 with a generous gift from Joseph J. Plumeri II ’66, D.P.S. ’11. It provides $10,000 for honored faculty members to use for research, summer salaries, or other stipends associated with scholarly endeavor. “I am proud to honor those professors whose remarkable service to the institution has helped so many students pursue their dreams with passion and integrity,” says Plumeri. Shields’ research focuses on diseases of commercially important crustaceans such as crabs and lobsters, while Wang strives to develop high-resolution computer models to better predict storm-surge flooding. This year’s other recipients include a linguist who works to help preserve Native American languages, a leading authority in U.S. immigration and labor history, and a computer scientist whose research focuses on improving mobile devices such as smartphones. A total of 114 W&M faculty members have been honored with the Plumeri Award since its inception. Sixteen of these professors have hailed from W&M’s School of Marine Science at VIMS. The Awards will continue to be granted annually to 20 faculty members at the College and Institute until 2019. Previous faculty recipients of Plumeri awards at VIMS have used their funds for a wide variety of scholarly endeavor, including collaborative seagrass research by faculty and students in Western Australia, participation by graduate students in the annual international Tuna Conference, and a presentation concerning coastline evolution at the International Physics of Estuaries and Coastal Seas Conference in Sri Lanka. Editor's note: A brief citation was prepared for each of the 2015 winners of the Plumeri Awards. Those for Drs. Shields and Wang appear below. Read about the other winners. Shields is a world-class scientist, a dedicated public servant of the Commonwealth and the nation, and a highly valued teacher and mentor. His most important contribution is his research combining field and laboratory experiments, classical histological methods, and molecular genetics approaches towards advancing our understanding of diseases of crabs and lobsters. 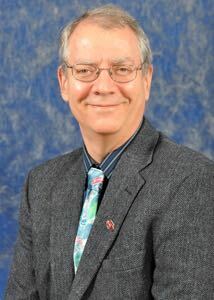 Over his career, Shields has authored or co-authored more than 100 articles on infectious diseases and parasites, notably on how disease affects commercially and ecologically important species. He is currently working on an encyclopedic volume on crab parasites and pathogens. Shields has also been the recipient of more than $12.5 million in grant and contract funding from agencies such as the National Science Foundation, NOAA, and the Environmental Protection Agency. The broad interest and importance of his expertise was formally recognized in a Certificate of Special Congressional Recognition for his research on lobsters. Shields draws on his expertise to enrich classroom, field, and laboratory experiences. The students in his courses have expressed their appreciation of his teaching style and knowledge. Wang is an exceptionally dedicated teacher and mentor, as well as a strong contributor to the academic program of the School of Marine Science, playing a key role in shaping the physical oceanography component of the graduate program. 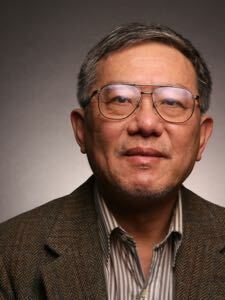 In the 16 years that he has been at VIMS, Wang has been the recipient of nearly $13 million in grant and contract awards, and established the VIMS Estuarine and Coastal Modeling Lab as one of the premier research groups in that field in the nation. The lab has been the recipient of prestigious honors in recent years, including the 2011 Governor’s Innovative Technology Award, which recognizes Virginia agencies, programs,and people that use information technology to improve the delivery and efficiency of government services while solving real-world problems. Wang’s highly sought research and advisory expertise focuses on issues of extreme interest to the Commonwealth, to the nation as a whole and to international collaborators. His work on the development of cutting-edge hydrodynamic/water quality models and his application of those models to address real-world problems in coastal systems, including pollution reduction, sea-level rise, and storm-surge prediction, have earned him a strong international reputation.